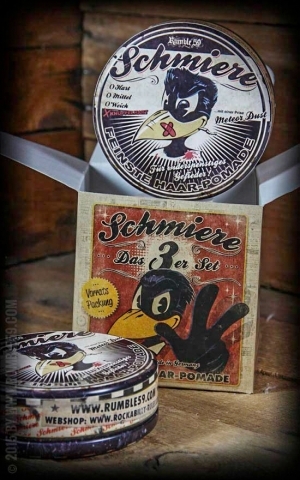 Flushed through the seven seas, the rebellious and joyfully colorful parrots became the mascots of the first three Schmiere waterbased pomades. 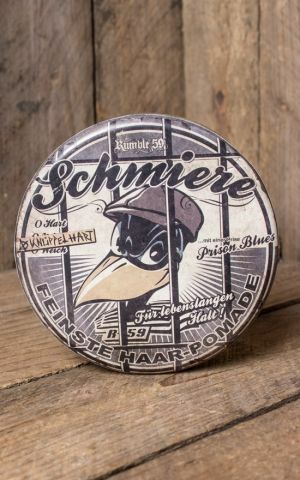 But now the flood brings back the feathered pirates as grown-ups, since the colorful era is over! 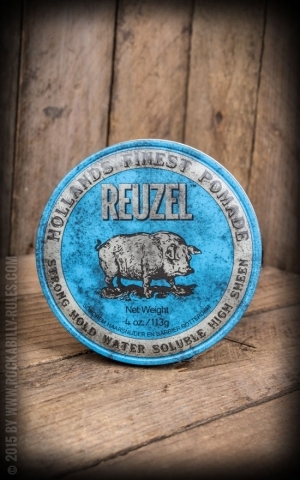 From now on they're watching us landsmen from their brown glass cans. 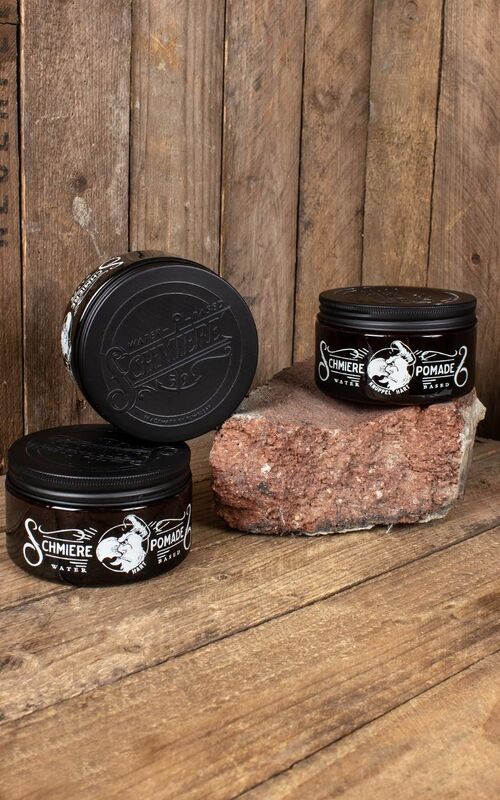 Enjoy the excellent design and benefit from the advantages of classic pomade combined with easy washability! 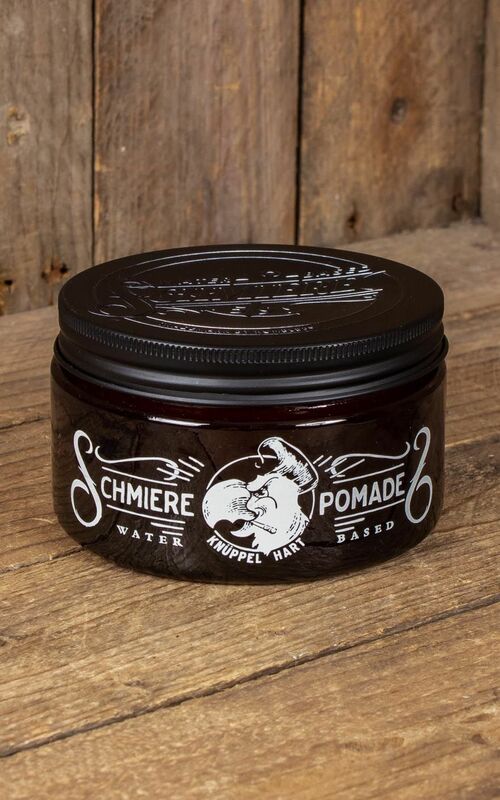 Waterbased pomade with extra strong hold in a classy designed jar. 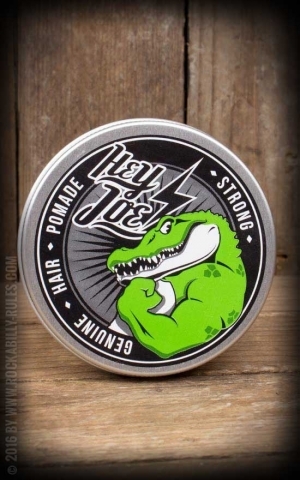 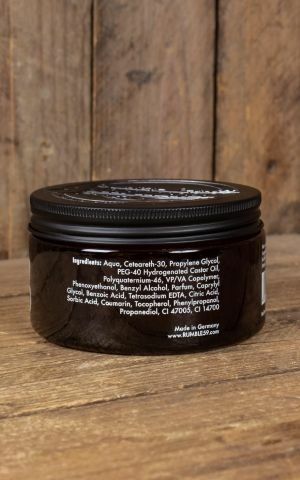 This waterbased pomade has an extra strong hold and a jelly-like consistency in orange color. When styling and throughout the day, it spreads a pleasantly mild-sweet fragrance. Like most water-soluble pomades, this great pomade is easy to style, comb and shape. For the perfect glossy finishing the water-based pomade is perfectly combined with Rumble59 - Schmiere - Pomade brilliance/light. 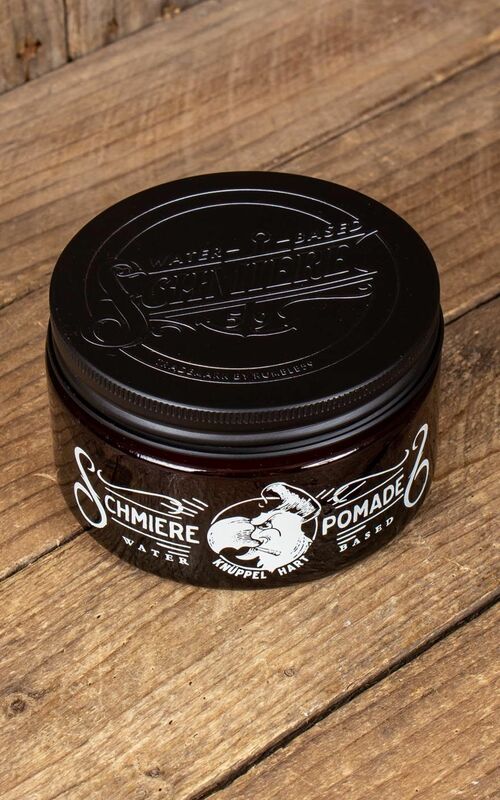 The absolute highlight is the elegant design of the packaging: the stylish brown glass jar with white imprints is topped off by a matt black screw cap with an embossed logo. 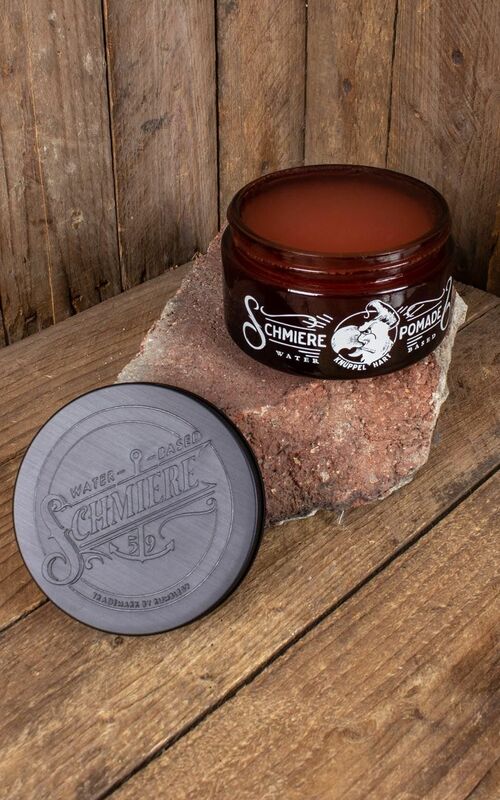 Schmiere from Rumble59 offers a very large selection of pomades. Each of them is lovingly designed and created to provide the perfect styling - not only for classic 50s hairstyles! 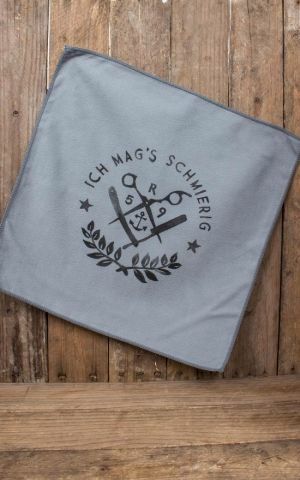 The waterbased pomade by Schmiere can be applied to dry and wet hair, also. 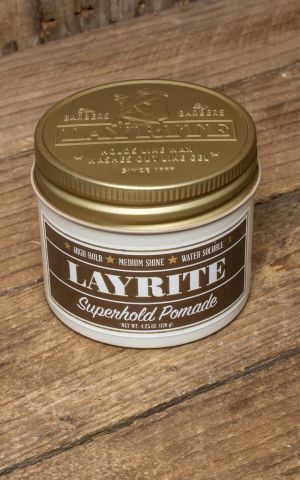 For a classic 50s styling, take some pomade from the can and rub it between your fingers or hands. Then spread it over your hair and style it as desired. 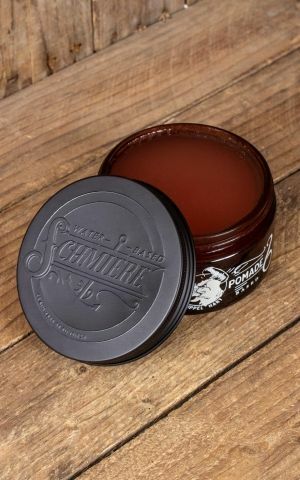 After the pomade has hardened a little, rub some of the Schmiere - Pomade brilliance/ light over your finished hairstyle for a perfect shine.